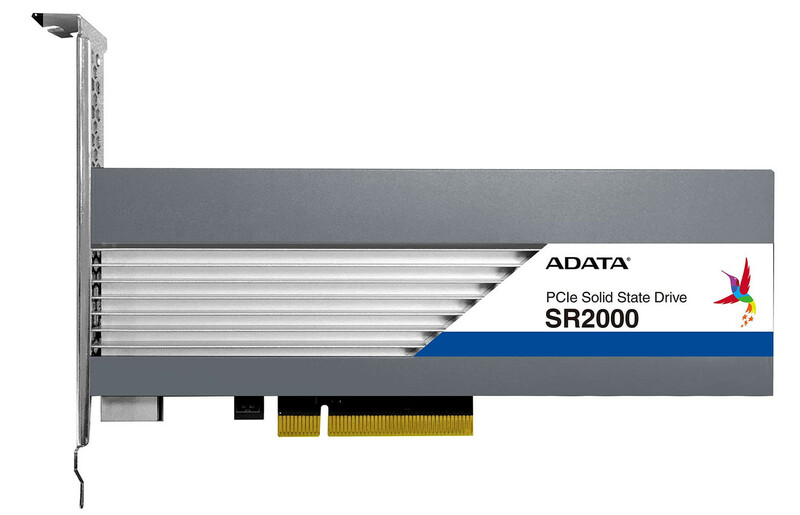 ADATA introduced the SR2000CP a new enterprise SSD for when you absolutely, positively, need to push data at 6 gigabytes per second. Built in the half-height add-on card form-factor with PCI-Express 3.0 x8 interface, the drive ships in capacities of 2 TB, 3.5 TB, 4 TB, 8 TB, and 11 TB. The drives use 3D "eTLC" NAND flash. This type of memory has the 3 bits per cell characteristics of TLC, but endurance (P/E cycles) comparable to MLC NAND flash, which lends it endurance of 1~3 DWPD under a 5-year warranty. The 4 TB variant tested by ADATA, churns out some impressive performance numbers - up to 1 million IOPS 4K random reads, up to 150,000 IOPS 4K random writes; and sequential transfer speeds of up to 6 GB/s reads, with up to 3.8 GB/s writes. You also get enterprise essentials such as user-configurable overprovisioning, power-loss protection, native 256-bit AES encryption, and up to protection against 95% relative humidity and 55°C ambient temperature (Google's datacenters). The company didn't reveal pricing as the drives could be served up to enterprise customers. Nice to see more x8 AIC/HHHL products coming out, for those who either don't want to spend extra or don't have PCIe lanes for current quad M.2 adapters (NVMe M.2 tend to be x4); there doesn't seem to be dual NVMe M.2 adapter.